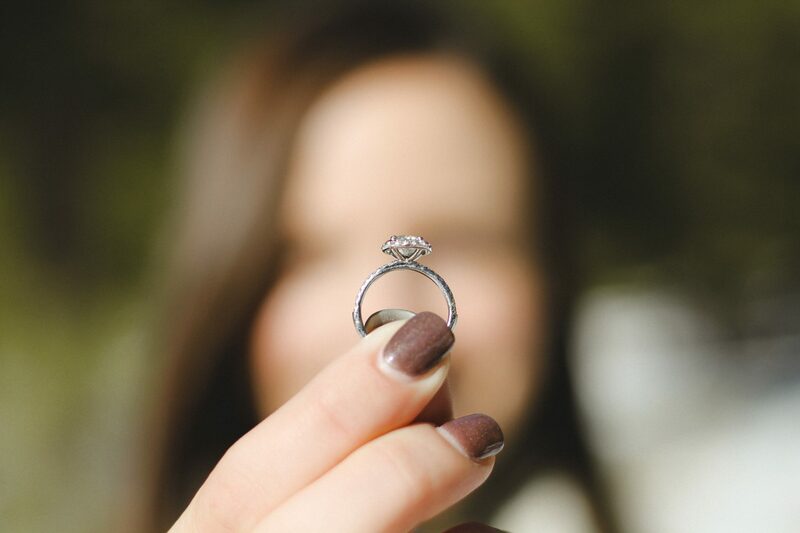 It might be your second wedding, but that doesn’t mean it’s not your first time purchasing an engagement ring. If you are new to the “please marry me” ring-buying process, use the following tips to help yourself navigate the stormy waters of engagement ring-dom. Whether you purchase an engagement ring from an online store or a flesh-and-blood jeweler, you need to do your research. Read reviews, ask friends, family, and co-workers for recommendations, and make inquiries as necessary. Focus on the cut of the engagement rings you are considering. Yes, clarity is important, but a good cut is what you really want. The way the stone is cut is the way it will “perform,” i.e. the way it camouflages inclusions and reflects light. Never, ever sacrifice the cut of the ring–you will be sorry if you do. Look for engagement rings with platinum settings if possible. Platinum maintains its structural integrity and does not require as much upkeep as other metal options. If platinum isn’t a possibility, go for 18K gold. It is less brittle and more malleable. Research purchasing diamonds online and make your choice. Going the online route means paying anywhere from 35 to 75 percent less than you would if you went to a nearby jeweler. Just remember to do as much research as possible to ensure you are getting a quality rock for less. Don’t get a diamond engagement ring if you and your partner have previously agreed not to go the diamond route. Plenty of other fabulous engagement ring options exist, including those made with other gemstones or rings free of gems entirely. Discuss options with your partner to get a feel for what she wants and go from there.